After a period of time even the best products can malfunction and repairs can cost hundreds of dollars. Newtech offers a wide range of Maintenance Service Contracts so you won’t have to worry over unexpected repair bills that wreck your budget. These plans are custom tailored to match the customer’s needs. These contracts may included on-site and telephone support, periodic visits and emergency visits. Our trained and certified professional technicians assure quality workmanship and service for all of the products we represent. Their certifications ensure we can provide a partner upon whom they can rely. We employ state certified fire alarm system inspectors for Ohio, West Virginia, and Kentucky. 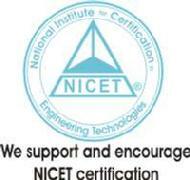 We also have state and national certified engineers on staff. Click here to access your Napco home video monitoring service.